Go to the link to read more and to sign the Alliance for Water Efficiency's letter. Deadline is March 1, 2018. 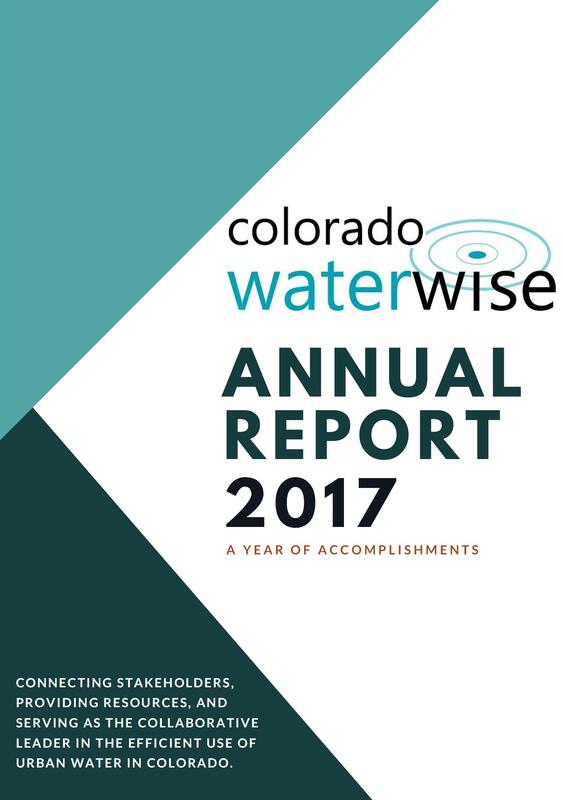 The Colorado WaterWise Conservation Symposium Registration Scholarship covers registration fees and conference meals and is sponsored by the One World One Water Center. Only FOUR registration scholarships will be awarded and only current active students are eligible. All applications are due Monday, October 17, 2017 (close of business). Full information and application here. The South Platte Enhancement Board (SPEB) is accepting grant applications for projects and initiatives that protect or enhance natural resource and cultural/historical values along sections of the South Platte River and its North Fork. Grants can range up to $40,000 per project. Grant Applications are due by June 14th at 5:00pm. In this webinar we will be discussing the history of Colorado water rights and why the state isjust now allowing residents to harvest rain water. We’ll also discuss the what, where and how-to of installing a rain barrel on your site and how to properly integrate it into your landscape. Presented by Deryn Davidson and Jennifer Tucker, CSU Extension.